This study is for patients with malignant mesothelioma of the lung lining (called pleura) who have had previous chemotherapy with a platinum-based regimen whose disease has progressed. Malignant pleural mesothelioma (MPM) is an aggressive, frequently drug resistant, and incurable disease that is increasing in incidence in the UK and worldwide. All patients with MPM will relapse following first line chemotherapy and at present, there is no standard treatment available for patients in the second line setting. The vinca alkaloid chemotherapy drug vinorelbine has shown promising activity in a single arm UK trial. 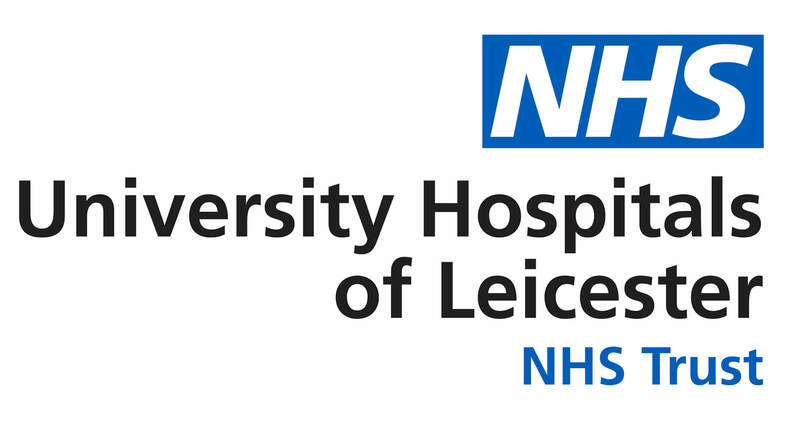 However to date, there has been no randomised evaluation of vinorelbine in mesothelioma in the second line setting. In addition, there have been no trials which have looked at underlying molecular changes in mesothelioma which may predict vinorelbine efficacy; This might allow vinorelbine to be used in patients only where there is a chance of benefit. Studies suggest that vinorelbine requires a gene called BRCA1 (shown to be absent in 38% of mesothelioma cases) in order to induce cell death in mesothelioma. The VIM trial aims to establish whether vinorelbine in patients with MPM helps them live longer and whether the BRCA1 gene is helpful in selecting patients most likely to benefit from treatment. Patients will be randomised (1:2) to receive either active symptom control (ASC) (which is all supportive care deemed necessary for pain management excluding disease modifying treatment) or ASC with vinorelbine. Patients will continue vinorelbine treatment until evidence of disease progression (or unacceptable toxicity to the drug or patient withdrawal). If vinorelbine activity is demonstrated, we will use the results from this trial to inform the design of a future phase III trial. 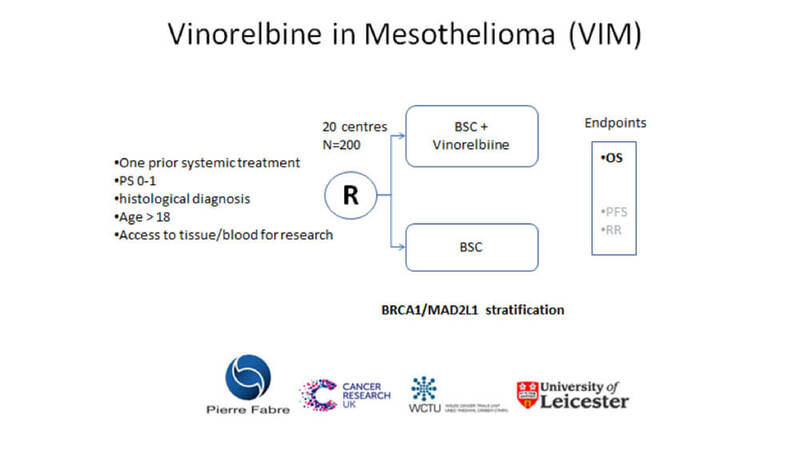 Vinorelbine was first licensed in the UK for Non-Small Cell Lung Cancer (NSCLC) and advanced breast cancer in 1997. Vinorelbine (Navelbine®) is a semi-synthetic, third generation, vinca alkaloid. The cytotoxic effect of vinorelbine is through the disruption of mitotic spindle formation, blocking mitosis at the G2-M stage resulting in cell death. Active symptom control (ASC) as per local practice plus vinorelbine administered at a dose of 60mg/m2 orally on day 1, day 8 and day 15 on a 3- weekly cycle, incrementing to 80mg/m2 weekly on a 3-weekly cycle in the absence of any significant toxicity for subsequent cycles. Patients will continue chemotherapy until evidence of radiological progression (or unacceptable toxicity or patient withdrawal).